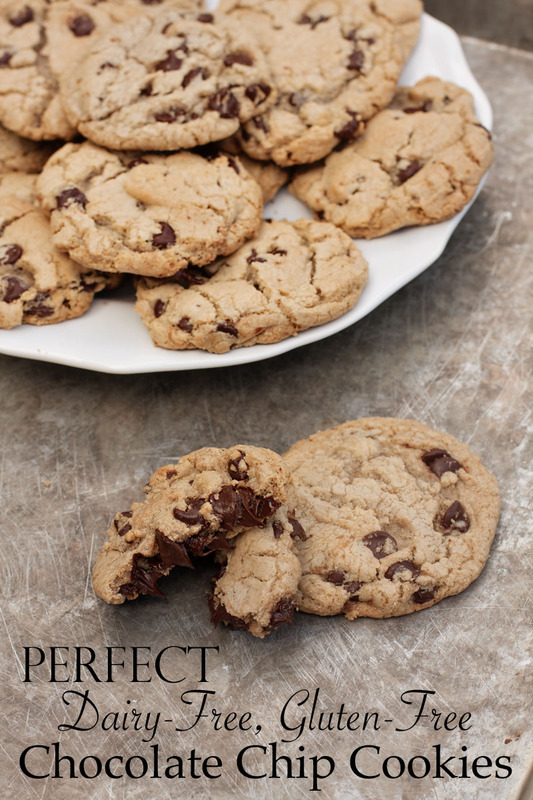 Perfect is a strong word for chocolate chip cookies, I know, but these chewy, moist, delicious cookies are absolutely spot-on. Yes, they are dairy-free and gluten-free, but you would almost never know. I bet you could serve these to anyone without them even knowing the difference! I tried these out on my kids (and myself!) and they are just as good as my original chocolate chip cookies. Even if you don’t have to eat gluten-free or dairy-free yourself, it’s always nice to have a trustworthy recipe in your back pocket so you can spoil your loved ones! I am only a few weeks into our dairy-free (for me), gluten-free (for my son, Bjørn) journey. I am already seeing so many changes in my own health, and I just can’t wait to start seeing the changes in Bjørn when we really dive in completely with him (we are easing into it for him. October 1st he will be 100% gluten-free!). Have you had to transition to a dairy-free and/or gluten-free diet? Has your child?? I would love to hear any tips/tricks/ideas you have to share! This is a big scary journey for my food-loving heart and I need all the encouragement I can get!! Meanwhile, I’ll be the one huddled in the corner, rocking and stuffing my face with these delicious cookies! Note: Gluten-free flour blends vary so, SO much. Please proceed with caution if you are new to using them. 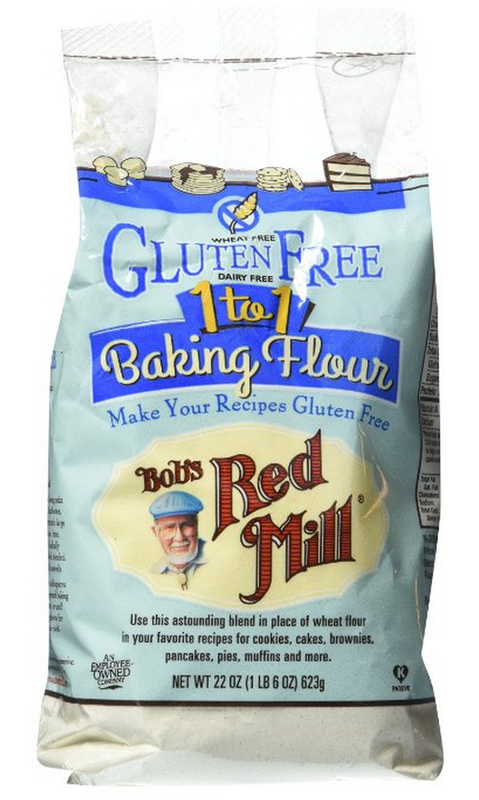 I am a big fan of this Bob’s Red Mill 1to1 Gluten Free Baking Flour, because it is very mild (no strong bean flavors!) and the texture is amazing. Use your favorite, but please know that the recipe might not turn out exactly the same! In a medium bowl, stir together the flour blend, baking soda and salt; Set aside. In a large mixing bowl, beat together the melted coconut oil and the sugars until smooth, 3-5 minutes. Beat in the egg and egg yolks, one at a time, and the vanilla, until well blended. Stir in the flour mixture and the chocolate chips until just mixed together. Cover the bowl and place in the fridge to chill for at least 30 minutes. Preheat the oven to 350ºF. Line 3 baking sheets with parchment and scoop the dough onto the pans, leaving a few inches of room for the dough to spread. Bake for 11-13 minutes, until the cookies are just barely golden around the edges, remove from the oven and let cool completely on the baking sheets. 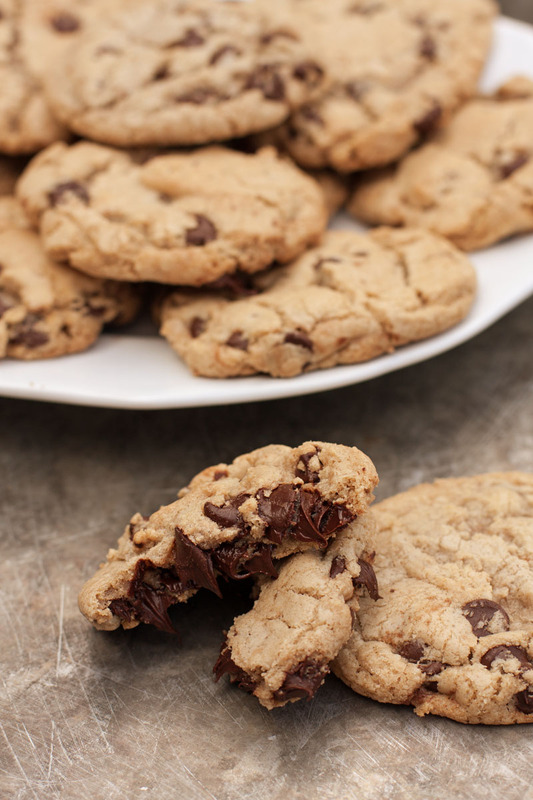 Transfer cooled cookies to an airtight freezer container and freeze for up to 3 months! *Since all gluten-free flour blends vary so much, I can only guarantee results with the blend I use - Bob's Red Mill 1to1 Gluten-Free Baking Flour Mix. Feel free to try your favorite gluten-free baking mix, but if you use something different, please don't come back here and leave me a negative comment! **Check your packaging for your favorite dairy-free chocolate chips. I buy mine at Costco (Kirkland Signature brand!) but you can use any kind you like!